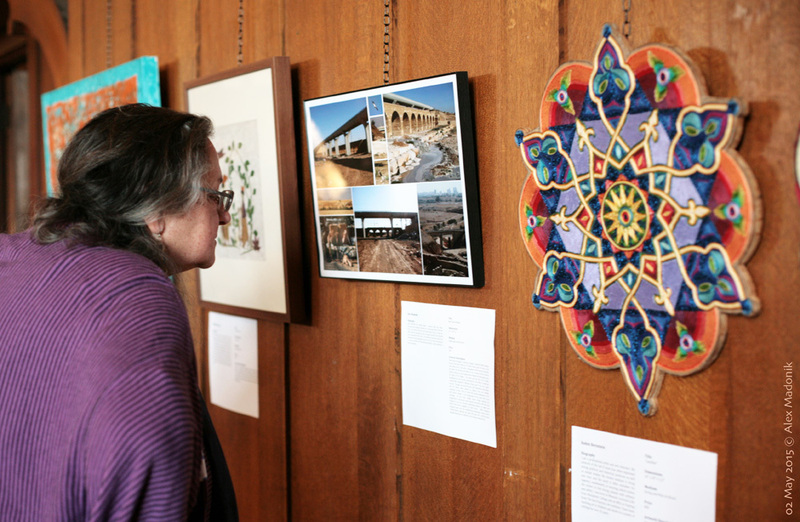 Visitors can find the artworks, artists, and details of our past Interfaith Art Exhibits in this section. View the artwork, read the descriptions, see the media coverage, read the press release, and find all other material related to the exhibitions. 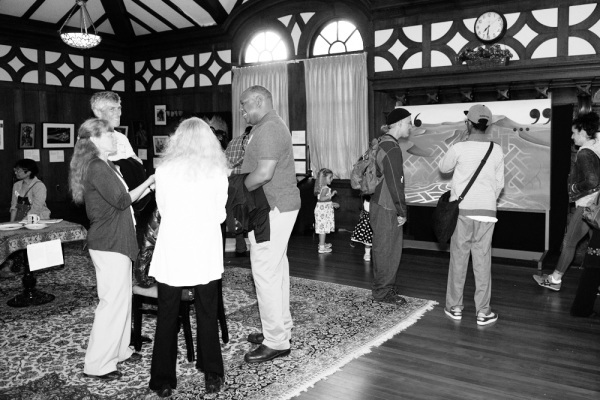 The first Interfaith Art Exhibition in Fall 2011 called “Diverse Visions of Harmony”. To read more about this exhibition and to view the artwork, read the descriptions, see the media coverage, read the press release, and find all other material related to it CLICK HERE. 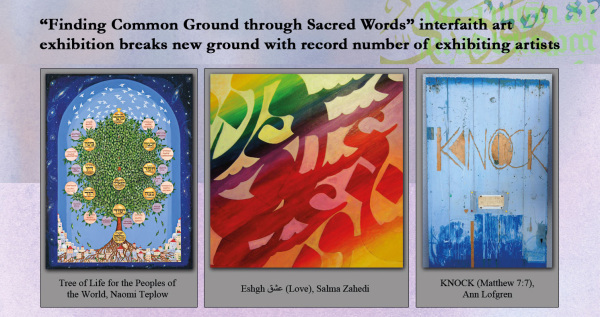 The second Interfaith Art Exhibition in May 2013 called “Finding Common Ground through Sacred Words”. To read more about this exhibition and to view the artwork, read the descriptions, see the media coverage, read the press release, and find all other material related to it CLICK HERE. 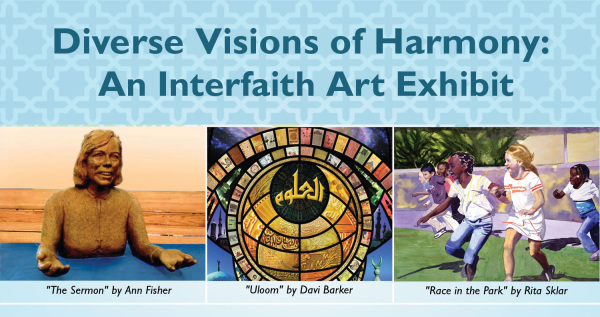 We are thrilled to announce that we are going to have the Fourth Interfaith Art Exhibition Biennial in 2017. A curatorial panel that is including the members of the panel of the previous exhibitions as well as other new artists is planned to be put together. This panel will develop and curate the exhibition. 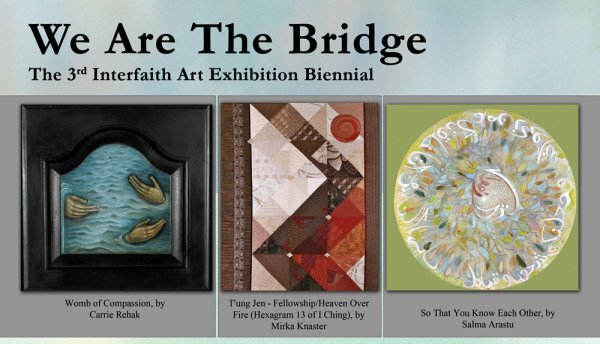 We are excited to be able to archive, showcase, and share with the general public all the artworks and materials related to the 2013 and 2015 Interfaith Art Exhibition Biennial. We are working to make the online gallery of the 2011 exhibition live soon.